An arts and entertainment venue in Sussex has said it will fight back over the loss of £150,000 in annual funding. 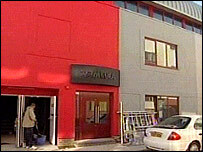 The Komedia in Brighton said its theatre, dance and variety programme was now under threat. It said it had received a letter from the Arts Council regarding the funding cut, which is due to be put forward for regional approval in January. Komedia's Tim Hawkins said it was "a grave disappointment to see the arts offering to Brighton reduced again". The Gardner Arts Centre closed in March due to a lack of funding. If approved, the loss of the money for the Komedia would mean the end of Fringe Festival shows in May and the Aurora Nova training programme. Its comedy and music output will remain. But Mr Hawkins said: "We are confident we will be able to change the Arts Council's decision by reminding them that Komedia not only meets all their objectives, but exceeds them too." He added that Komedia had invested £2.5m towards refurbishment of the venue and the development of live arts across Brighton and Hove.